The 14 Days Wildlife Safari Uganda Gorilla Safari Rwanda is a Uganda-Rwanda Gorilla Trekking and wildlife Safari. 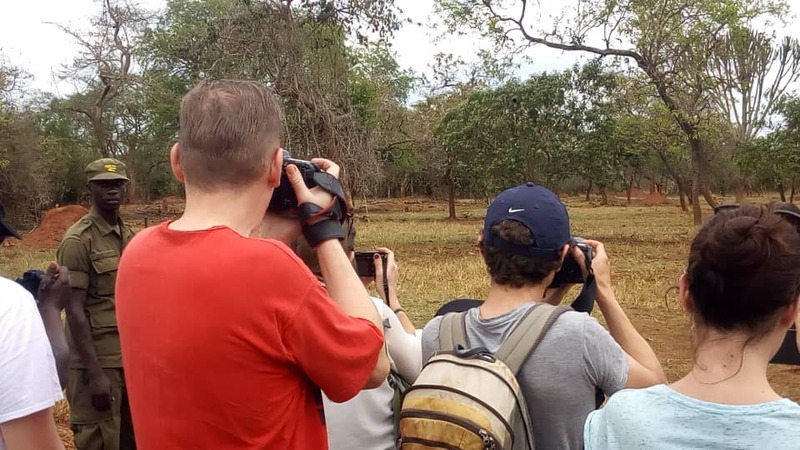 The trip takes you to the prime safari destinations of Ziwa Rhino Sanctuary, Murchison Falls National Park, Kibale Forest National Park, Queen Elizabeth National Park and Bwindi Impenetrable National Park in Uganda. 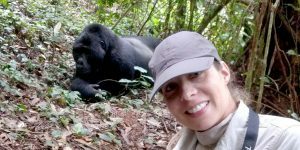 In Rwanda you go for another gorilla trekking experience to Volcanoes National Park where you also track golden monkeys and visit the Dian Fossey Centre. 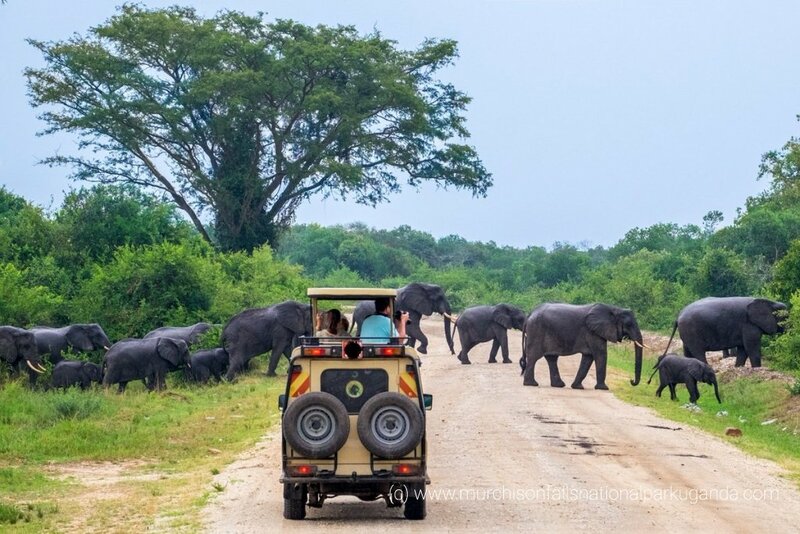 Using a 4×4 safari vehicle you go for Rhino tracking at Ziwa Rhino Sanctuary on the second day of your trip as you are transferred to Murchison falls national park. 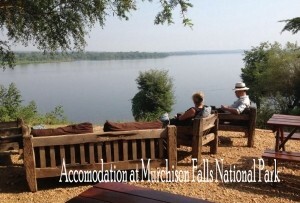 You undertake a game drive, boat cruise and hike to the top of Murchison Falls at Murchison Falls National Park. 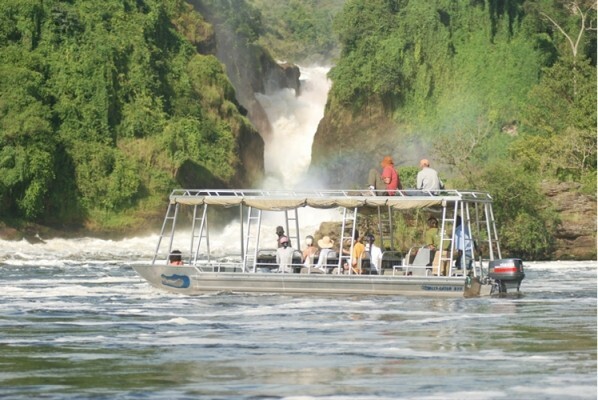 From Murchison falls park you are driven to Kibale forest National Park for chimpanzee trekking. 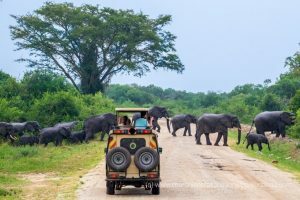 Continuing with the trip in the beautiful hillslopes of western Uganda, you are driven to Queen Elizabeth National Park for a game drive and boat cruise in Kazinga channel. 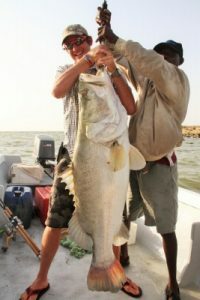 You then go for Gorilla trekking at Bwindi Impenetrable National Park then after relax at the shores of Lake Bunyonyi. From Lake Bunyonyi, you are transferred to Rwanda’s Volcanoes National Park where you go gorilla trekking again, track golden monkeys and visit the Dian Fossey Centre. You later on depart via Kigali International Airport in Rwanda. Day 5: In the morning, you undertake chimpanzee trekking then take a bigodi nature walk in the evening. 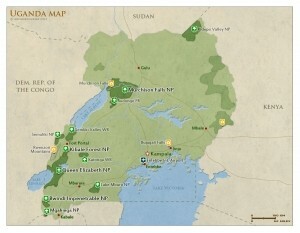 Day 11: In the morning, you are transferred from Lake Bunyonyi to Rwanda’s Volcanoes National Park. 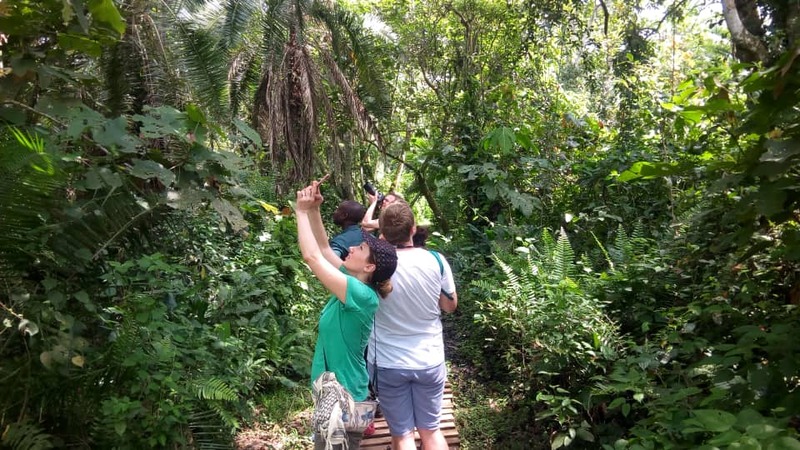 Day 12: You go for second gorilla trekking at Volcanoes National Park. 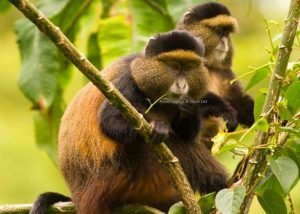 Day 13: You return to Volcanoes National Park for golden monkey trekking and a hike to the Dian Fossey Conservation Centre. Day 14: You have a Kigali City tour then after depart via Kigali International Airport. With arrival at Entebbe International Airport -Uganda’s international airport, you meet and greet with your driver guide who will ensure all the transfers and information you need all through your trip. You are driven from Entebbe International Airport to a booked hotel in Kampala-Uganda’s capital where you spend the night and relax from jet lag. From your hotel/lodge in Kampala, your Uganda wildlife safari driver guide picks you up for the drive to Ziwa Rhino Sanctuary for Rhino tracking on foot 169km away in Nakasongola district off Kampala-Gulu highway on a about a 3 hours drive. After about 2 hours of Rhino tracking, you have lunch and continue with the drive to Murchison Falls National Park 151km away on another 3 hours’ drive. Arriving in the evening, you check into an accommodation in Murchison Falls national park where you relax as you prepare for more wildlife activities in Uganda the next day. 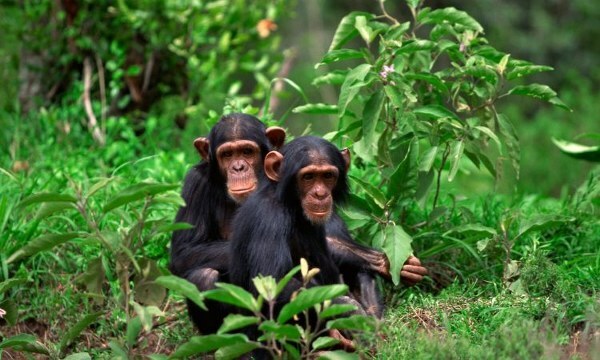 By dawn, you will be at Kibale forest park for chimpanzee trekking after having early morning breakfast. 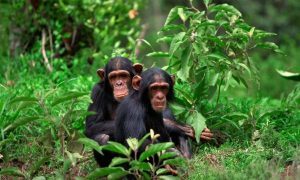 chimpanzee trekking starts at 8:00am within Kibale forest lasting 2-5 hours in the jungle though only 1 hour in the presence of the chimpanzees. After watching the chimpanzees at play and taking pictures, you return to the park headquarters where you meet your driver guide. You have lunch and then go for a nature walk at bigodi wetland adjacent to the park on a 13minutes drive. Here you relax in the wetland marshes of bigodi which host several bird species. In the evening you return for the night at your lodging facility. 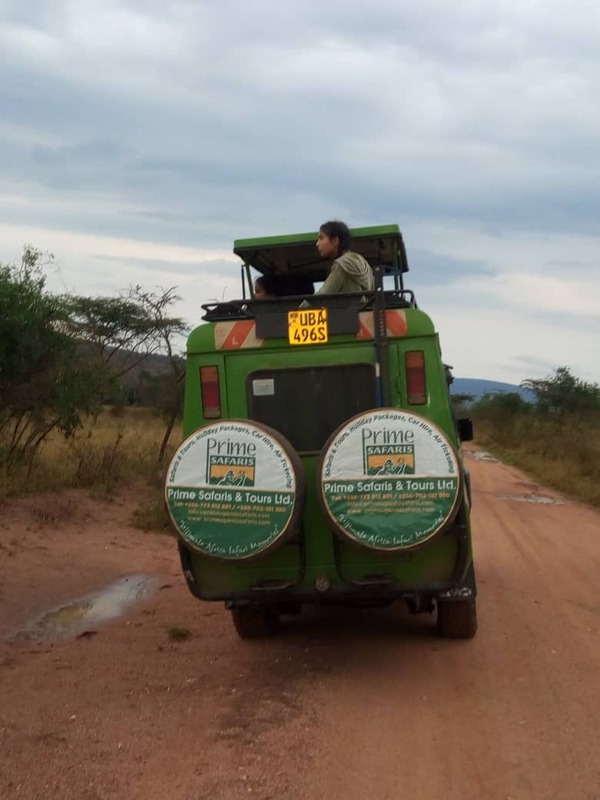 After breakfast, your driver guide will pick you up for a tour within Fort Portal town transfer to Queen Elizabeth National Park. Before you continue with your drive, you take a visit to the Amabere g’ Nyinamwiru Caves, for an exploration of the breast-like features that are believed to be breasts of Nyinamwiru the mother of Ndahura the famous Muchwezi ruler who expanded the Chwezi Empire across the interlacustrine/great Lakes region. 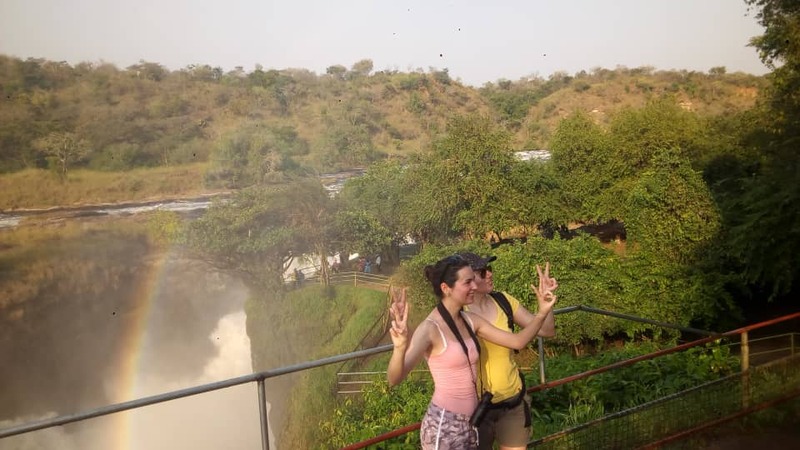 After the visit to the caves, you continue for a hike to the Fort Portal Crater lake field where you explore the effects of explosive volcanicity that left behind beautiful small lakes surrounded with birds. The drive continues with arriving in the evening for check in at an accommodation in Queen Elizabeth National Park.